The international Atoms for Peace exhibit opens in Geneva, Switzerland, with United Nations Secretary General Dag Hammarskjold on hand and 20 nations displaying their progress in atomic power. 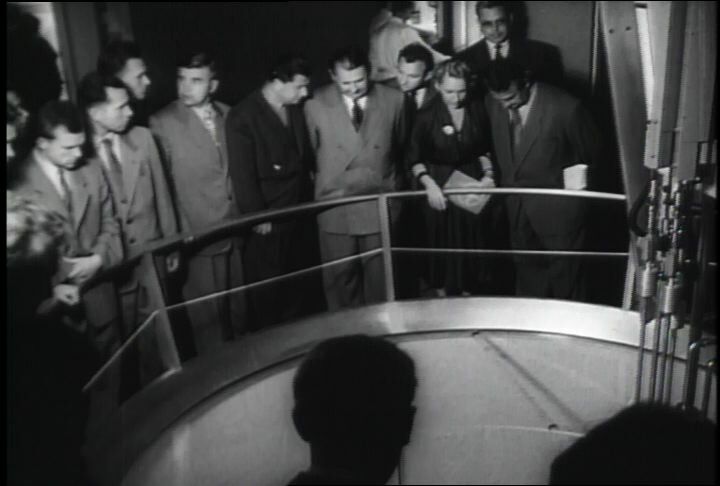 Chicago: “War and Peace in the Nuclear Age; Carter's New World; World Exhibit of Atoms for Peace Opens in Geneva,” 09/04/1958, WGBH Media Library & Archives, accessed April 24, 2019, http://openvault.wgbh.org/catalog/V_B57B98628F6843768AA465B84FE8548F. MLA: “War and Peace in the Nuclear Age; Carter's New World; World Exhibit of Atoms for Peace Opens in Geneva.” 09/04/1958. WGBH Media Library & Archives. Web. April 24, 2019. <http://openvault.wgbh.org/catalog/V_B57B98628F6843768AA465B84FE8548F>.